A new musical based on the life on Motown founder Berry Gordy. Oscar winner Jamie Foxx holds his adorable daughter Annalise as they join Motown stars Felicia Boswell (who was on for Valisia LeKae), Raymond Luke Jr., Bryan Terrell Clark, Brandon Victor Dixon and Nicholas Christopher (who was on for Charl Brown). 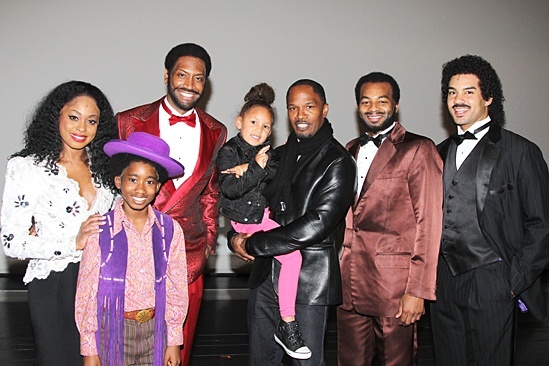 Jamie Foxx brings his daughter to Motown The Musical on November 2, 2013.